ARM, EDA and MachXO, Oh My! 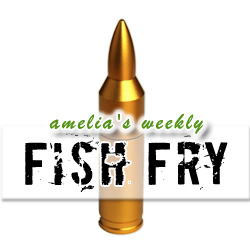 In my Fish Fry this week, I talk about ARM DevCon, the Ultimate EDA tool, Lattice’s new 65nm MachXO2 FPGAs, and… 50 caliber USB drives? Join me for this Beta version of our new weekly news wrapup – with my spin on the high-tech news of the week… Everybody loves Beta test, don’t they? If you like the idea of this new series, be sure and drop a comment in the box below. Then maybe we’ll get a little more budget to grow this thing.